A successful M&A (Mergers and Acquisitions) transaction requires a plan and methodical implementation of the plan. 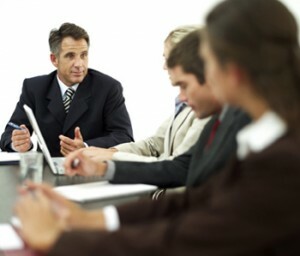 Corporate Consultants plays a coordinating role in eight stages of the transaction process. While all of these steps are typically taken in middle-market transactions, the process may be abbreviated in the sale of some small businesses. The seller’s motivations for selling and desired time frame need to be understood. The seller’s financial circumstances may determine whether special terms of sale such as seller financing, a purchase price based on an earn-out, or sale of less than a 100% interest will be entertained. The proposed deal structure may be either a sale of assets or a sale of the company’s stock. Setting an appropriate value or range of values is essential to a successful transaction. Sufficient analysis is conducted to assure that neither the client nor the intermediary overlooks important elements of the firm’s value. An understanding of the client’s industry, similar completed transactions, and the pool of prospective buyers are considered in determining value. A thorough, accurate, and professional-appearing offering memorandum will be prepared to communicate enough information to prospective buyers to persuade them to enter into further discussions with the seller and the intermediary. Characteristics of the business that add value will be emphasized in the memorandum. Corporate Consultants uses a range of communications that include electronic media, mail, and personal contacts to market the business to the maximum number of qualified prospects. The firm will evaluate the financial qualifications and motivations of prospective buyers. All qualified buyers will be required to sign confidentiality agreements before receiving the offering memorandum or other identifying information about the client. Buyer questions and requests for additional information will be responded to promptly while continuing to protect the seller’s time and the confidentiality of the information. Buyer meetings will be scheduled and conducted as soon as all parties are available. Continued discussions with interested buyers will be focused on reaching a workable agreement. One of the keys to achieving this is for intermediary to keep some separation between the buyer and seller during negotiations, while conferring with the client to assure that positions taken in the negotiations are correct. We respond to objections raised by the buyer, drawing upon our experience, to assure that these concerns can be addressed without affecting the value of the transaction. Corporate Consultants manages the due diligence process in a manner designed to make the buyer feel comfortable that all requests for information have been responded to fully while using the seller’s time and resources as efficiently as possible. We delve for any buyer objections that can be addressed satisfactorily in the due diligence process. When needed, we work with the buyer on obtaining financing on competitive terms. We strive to complete negotiations and schedule a closing within the shortest amount of time reasonable. When external financing is involved, we assure that all lender or investor requirements are satisfied promptly. We work with the seller’s accounting, tax, and legal advisors to assure that the transaction is structured and documented properly while conforming to the seller’s objectives and keeping costs under control.